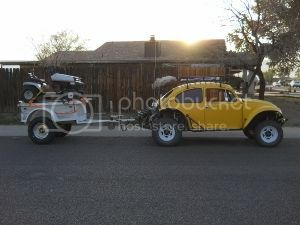 AzBaja.com, Home of the VW Baja Bug -:- Baja Forums -:- Off-Road & VW Based Clubs (4x4, ATV, Jeep, Motorcycle) -:- Events and Get Togethers World Wide -:- Day run this weekend! Baja Forums -:- Off-Road & VW Based Clubs (4x4, ATV, Jeep, Motorcycle) -:- Events and Get Togethers World Wide -:- Day run this weekend! Post subject: Day run this weekend! 8/16/14 or 8/17/14 I need to get out and play with my Baja this weekend. Is anyone going for a ride this weekend and would like some company? Does someone want get out this weekend? Drop me a PM and let me know and I can plain something based on who wants to go.. I want to just do a day run.... somewhere local..